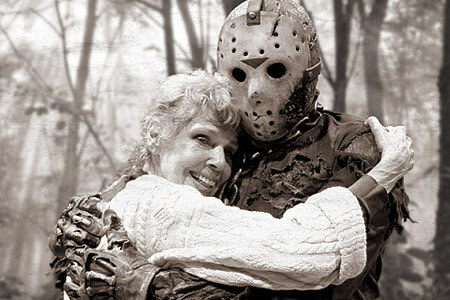 Mother and Son. . Wallpaper and background images in the फ्राइडे द थर्टीन्थ club tagged: friday the 13th jason voorhees pamela voorhees photos horror fan art. Awesome! That's photoshopped right? I think it is...somebody did a fantastic job if so!